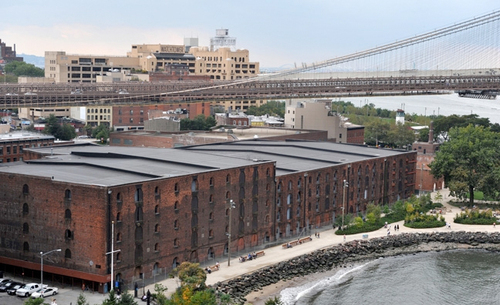 The Brooklyn Bridge Park Corporation issued an RFP last week seeking qualified developers to revamp the post-Civil War Empire Stores warehouse in DUMBO, according to Crain’s. The adaptive reuse project, originally drafted in 2002, has been postponed several times over the last decade due to a lack of developers willing to address the building’s “scary structural issues.” Proposals, which are due on December 10th, could add up to 70,000 square feet and two additional stories to the existing buildings. Projects must be community friendly and address design challenges at the intersection of preservation and sustainability.